The Standing Committee on Public Accounts met with the Deputy Minister of Finance, in his role as Chairperson of the Public Investment Corporation (PIC), as well as the Directors and the Executive team of the PIC for the second time in as many weeks. The Chairperson noted that the Committee had a meeting with the Deputy Minister and the PIC two weeks ago. In the first meeting the path had to be cleared for the present meeting. The Committee and the PIC had been at cross purposes. After that meeting, he had had a meeting with the Acting CEO and one of the Independent Non-Executive Director, and that they had found each other. Since then the Committee had received all of the requested documents and Members were in a better position to engage with the PIC. Because of the importance of the Corporation which handled over R2 trillion in investments, the Committee had felt an urgent need to respond to media reports that had suggested there were problems in the PIC. The pension benefits of government employees was a defined benefit and, if anything went wrong with the PIC and money was required, it would have to be found in China at the cost of the sovereignty of the country. The Committee enquired into the fact that a different CEO sat before them. The Deputy Minister replied that could not go into details of the CEO’s separation from the Corporation, as the lawyers were involved and it was an employer/employee relationship. He highlighted that it was not related to investments or corruption. Unlike the usual practice in the Standing Committee meetings, the Chairperson permitted the PIC to brief the Committee fairly extensively on principles, practices and processes in the Corporation as it was the Committee’s first engagement with the Corporation and Members needed to understand what took place in what was seen to be a very secretive organisation. The PIC emphasised that the three important criteria that informed investments were environmental, social and governance factors. The PIC believed that if those three things were right, the result was a financial return. The principal risks considered by the PIC were the strategic risk, investment risk, operational risk, legal and regulatory risk and reputational risk. Black fund managers, asset managers and brokers were strongly supported as a matter of policy and principle. To be able to sustain long-term returns for clients, the PIC believed that it was important to have a long view and a developmental perspective. While there was a focus on listed companies, the JSE did not enable them to meet their criteria in some sectors as those sectors were not adequately represented on the JSE. If there were unlisted investments in the portfolio, PIC could gain higher returns. It was one of the benefits of diversification, although the risks were higher. The Executive Managers briefed the Committee on how they performed their functions, the strategies and methods of operation in respect of making investments in the various portfolios. The explanations were fairly detailed and illustrated in diagrammatic configurations. The presentation included details of listed and unlisted investments and concluded with accolades received by the PIC as the largest asset manager in Africa. The Deputy Minister referred the Committee to the environmental, social and governance approach to investments, i.e. taking into account environmental, social and governance factors. It was known as the modern triple essence of management. In order to attain successful outcomes in business, one had to take into account, protecting the environment to sustain the creation of wealth, sharing of the wealth as an insurance for sustained wealth creation as a social factor and good governance to enhance financial performance. Environmental, social and governance considerations had become indispensable. Members raised a concern about the red zone investments which included a R5 billion loan to Eskom at the beginning of 2018. It was a loan to Eskom that was speedily repaid with interest of R30 million to be paid by the taxpayers but how did it reflect in the books of the PIC? It was not reflected as a contingent liability nor were there official guarantees by government. The PIC had given Eskom R5 billion in secret and what had Eskom done with the money? Pension funds had been invested in Eskom and now Eskom had load shedding. Was Eskom now blackmailing politicians in December of the same year to get more money? Members had heard that Ayo was a good catalytic investment but it emerged that the head of internal audit had conducted an internal investigation into the transaction and had found major deficiencies, not the least of which was that R4.3 billion had been moved before the transaction had been approved and before the put option was signed. Could the PIC summarise what the difficulties were with the Ayo deal? What action had been taken? Had staff been fired? Members noted that the big elephant in the room was the investment in state-owned enterprises. The Corporation’s interest in state-owned enterprises constituted R183 billion and the third largest investment portfolio. Was it true? It was a chunk of capital into state-owned enterprises. SCOPA knew about the risks and that many were not going concerns. Had the risk assessment at PIC had picked that up? The debt was about 53% of GDP but if one included the contingent liability, it would push South Africa’s risk over 60% and then it put South Africa in the space of the International Monetary Fund. It was a risk in terms of the downside guarantor. Had the PIC’s risk assessment had taken that into consideration in making investments in state-owned enterprises? Members asked about the advisory fees and asked if those could be broken down. Was there a broker fee and was it included in the advisory fee? Members asked about the Venda Banking Services scandal? And what was happening there? PIC had R82 million there and suddenly that figure was R0. Had a risk assessment been done in terms of that company? The PIC had had two board members on the Venda Banking Services board. What were the names of those executives and what had they reported to the PIC? If the PIC had really considered the risks as stated in the presentation, how could the Corporation have made that mistake? What had happened to the two people? Was there real consequence management? Members were impressed with the way in which the PIC was investing the money and making it grow, but how did it help the person who had contributed to that fund, especially those contributing to the Government Employees Pension Fund? Why could the people not borrow from the PIC so that they could all own their houses? What was the PIC doing for the man sweeping the street whose pension money was invested in the PIC? There was a concentration of projects in Gauteng, Western Cape and KwaZulu-Natal. How could the PIC ignore all the other provinces? Members asked whether the PIC had the capacity to monitor investments. The Steinhoff project was one that had got the attention of the public but what about other investments? Was the PIC vigilant enough to see the grey lines before they became red and a real problem? R9 billion had been paid out without due diligence. How did the Corporation do that? Had the managers not followed their own checklist? How much had the PIC lost in terms of Steinhoff? Which officials had dealt with Steinhoff and what had happened to those officials? Another question asked by Members was whether the Corporation supported BEE. Who were the beneficiaries in terms of transformation? Why did the PIC policy did not talk to any policy in government. The Committee wanted to see the PIC policy. The Committee was very concerned about the way that the PIC related to the media. Why was the PIC a closed shop? The Ayo case and the Jayendra case gave Members the impression was given that certain people were benefitting and only if someone was known in the PIC could one benefit. How did one get known to the PIC? Should the PIC not open up to the media and stop dealing with friends? Why follow principles that deny transparency? R 4.3 billion had been disbursed without the transaction being approved and no put option in place. That was a major failure internally and it seemed that no one had been held accountable. Was that correct? Had anyone been fired or disciplined? Members understood that a particular deal had not proceeded but the PIC had been put under political pressure by trade unions and certain political constituencies. Who put the PIC under pressure in respect of that investment? What were their names? A concern for Members was the disclosure that Siyabonga Nene was an inter-related party in one of the companies involved in a deal with the PIC. It seemed that the PIC had been confused about how to deal with the matter because there was no policy on inter-related parties. Why was there no policy? It also did not appear that the risk was ever elevated to higher levels. Was the risk ever assessed by the Social and Ethics Committee? Was the Committee aware of the Siyabonga Nene matter? Did transactions serve before the Social and Ethics Committee to consider if there was a risk from any politically exposed persons? In relation to the Nigeria MTN matter, apparently due to violations of exchange controls regulations, the PIC had lost R1.8 billion. Members asked the PIC to explain that matter. The Committee had heard that the PIC was developing a communication strategy. What were the timelines? When was the PIC intending to develop the communication strategy? What was the position of the PIC where PIC managers sat on the boards of companies that used KPMG as external auditors? Were they considering withdrawing their staff from the boards because of malfeasance? Members wanted to know what the position of PIC was regarding KPMG. In conclusion, the Chairperson believed that governance issues, in line with the issues raised by his colleagues, were important. The PIC had to address the concerns about the lack of transparency and poor communication with the public. The PIC had to safeguard against individuals who attempted to exert undue influence either within the Corporation or from outside the Corporation. There had to be regular interaction with the Committee in the future. Never again should there be a situation where things fell apart. The Chairperson welcomed the Deputy Minister of Finance, Mondli Gungubele, board members and management of the Public Investment Corporation (PIC). He asked everyone to introduce themselves. The Deputy Minister informed the Standing Committee that he was the chairperson of the PIC board and that he had brought the chairpersons of all the board sub-committees, as well as his team of executives. The Chairperson noted that the Committee had had a meeting with the Deputy Minister and the PIC two weeks previously and, in the first meeting, the path had to be cleared for the present meeting. There had been lots of heated exchanges because the Committee and the PIC had been at cross purposes. After that meeting, he had had a meeting with the Acting CEO, Ms Matshepo More, and Dudu Hlatshwayo, Independent Non-Executive Director, and they had found each other. Since then the Committee had received all of the requested documents. Members were now in a better position to engage with the PIC. He would have preferred to have had the information well in advance so that the Committee could have informed the PIC of the specific issues the Committee wanted to address. Nevertheless, he appreciated that, between the previous Thursday and that Tuesday, the PIC had gathered the documents and sent them to the Committee. The Chairperson stated that the last time the Committee had met; there had been a different Chief Executive Officer. The Chairperson (PIC), Deputy Chairperson and the then CEO had committed to the meeting. The Committee needed to know exactly what had happened since then. Members did not want to rely on rumours. The PIC had said that it was having a board meeting on Friday of the previous week to prepare for the SCOPA meeting and the result of that meeting was something else. He asked why the person that the Committee knew as the CEO was not there that day. The Deputy Minister replied that the CEO had submitted a letter of intention to resign to the board. The board had entertained the letter on 23 November 2018. The then CEO had a proposal as to how to handle the matter. However, having read the letter, the board had decided that the CEO would separate from the PIC on that day. The Minister had concurred with the board’s decision. A lot of issues still had to be addressed, so he could not say any more. It was in that context that the PIC had an Acting CEO. The Chairperson stated that the turn of events would hamper one leg of the questioning. He knew that management was not an individual but individuals held positions and that gave them particular authority that influenced the direction of the institution that the person was leading. The Chairperson said that in the letter that he had written on 4 June 2018, he had stated that the concern of the Committee was triggered by the media reports of the CEO which were putting the PIC in a bad light and were raising a whole range of things, including governance issues. SCOPA dealt with what killed a patient and, even in death, one had to examine the body before burying it. It would have been a good idea to have that person, whose authority had created some of those things, in the meeting to answer some of the questions. Without the CEO, there would be some elements missing. The Chairperson said that part of the fundamental challenge had been the reign of terror wrought on officials within the PIC which had led to the departure, expulsion or resignation of officials. When one had power and was not careful, one built fiefdoms like a warlord and ran the enclaves in a highly personalised way instead of an organisational way. That led to a decline and the decline of an institution like the PIC was unthinkable in the current challenging economic situation in the country and the budgetary constraints. The pension benefits of government employees was a defined benefit and, if anything went wrong with the PIC and money was required, it would have to be found in China at the cost of the sovereignty of the country. Everyone knew that Eskom previously had a credit rating higher than the country, but everyone knew where Eskom was currently. The question was whether SCOPA should have waited until the situation became as bad as Eskom. To keep the PIC on the straight and narrow, SCOPA could not wait so SCOPA wanted to interrogate everything and was giving the PIC a platform to clear those things that were a concern to SCOPA. The PIC had to see any questions from Members as an opportunity to clarify any issues so that Members could relax, knowing that certain things were just rumours. The Chairperson was going to give the PIC the opportunity to make a presentation. It was not the usual format but the PIC could present on those issues that SCOPA had already raised. It had to be a comprehensive but succinct presentation, after which, if everything had been clearly explained, the meeting could adjourn. The PIC should not believe all the things that they had heard about SCOPA, the Members just wanted to have a nice and quiet discussion. The Deputy Minister reassured the Chairperson that he had spoken well of SCOPA to the team. He asked that the PIC do a summary but the presentation had to start with some highlights of the PIC. Ms Matshepo More, Acting CEO, PIC, began the presentation. It was an extensive and detailed presentation of 93 slides, which was a summary of an extensive Word document sent to Members. The Annexures included specific information requested by the Committee. The PIC had submitted minutes as requested but emphasised that the minutes were confidential. She stated that the PIC would brief the Committee on the processes that led to those investments selected as examples so that the Committee could understand how PIC made decisions about investments. Each of the Executive Heads would make a presentation on his or her focus area. The Chairperson noted her explanation and stated that the PIC minutes had provided Members with the context in which decisions had been taken. Ms N Khunou (ANC) was concerned that the Committee was not being consistent and following procedure as in the normal SCOPA meeting. The PIC should not be allowed to make a lengthy presentation. The Committee should be asking questions. The Chairperson said that the Committee would discuss processes later and allowed the PIC to continue. The Acting CEO informed the Committee that the PIC was performing extremely well. She stated that assets currently stood at R2.08 trillion with 94% in listed portfolio and 6% in unlisted portfolio. The second biggest part of the investments was sitting in listed equities and fixed income, both of which were managed in-house. The Acting CEO emphasised that the three important criteria that informed investments were environmental, social and governance (ESG) factors. The PIC believed that if those three things were right, the result was a financial return. She explained that the principal risks considered by the PIC were the strategic risk, investment risk, operational risk, legal and regulatory risk and reputational risk. Black fund managers, asset managers and brokers were strongly supported as a matter of policy and principle. To be able to sustain long-term returns for clients, the PIC believed that it was important to have a long view and a developmental perspective. While there was a focus on listed companies, the JSE did not enable them to meet their criteria in some sectors, e.g. agriculture, as those sectors were not adequately represented on the JSE. If there were unlisted investments in the portfolio, the PIC could gain higher returns. It was one of the benefits of diversification, although the risks were higher. The Acting CEO asked a number of the executive managers to brief the Committee on how they performed their functions, and the strategies and methods of operation in respect of making investments. The explanations were fairly detailed and illustrated in diagrammatic configurations. The presentation included details of listed and unlisted investments and concluded with accolades received by the PIC. The Deputy Minister referred the Committee to the ESG approach to investments, i.e. taking into account environmental, social and governance factors. It was known as the modern triple essence of management. In order to attain successful outcomes in business, one had to take into account, protecting the environment to sustain the creation of wealth, sharing of the wealth as an insurance for sustained wealth creation as a social factor, and good governance to enhance financial performance. ESG had become indispensable. Mr D Ross (DA) to lead the first set of questions. Mr Ross congratulated the PIC on the awards that it had attained which helped to build trust. He noted that the PIC was the largest asset manager in the Africa. The PIC had grown exponentially well with R2 trillion of assets under its management. He was encouraged by the investment results and believed that SA could be very proud of the PIC. He was impressed by the returns on investments and the Members would appreciate the many checks and balances. Mr Ross explained that the PIC had been called to SCOPA based on some negative publicity. He was going to ask about the average return on investments but that had been dealt with in the presentation and as he understood it, it hinged between 6% and 12%. The investment in Anglo-American had been particularly good and that was encouraging to hear. The processes for cross-checking were excellent. It was a large organisation with extensive checks and balances that the public at large could appreciate. The unlisted investments were more risky but significantly more rewarding. He believed that the PIC was managing its unlisted investments very well. He added that in terms of the risk assessment, his only disappointment was with regards to the CEO and Acting CEO, once again. SCOPA had been dealing with SOEs for the past couple of days for hours on end and everywhere there were people in an acting capacity. In that regard, the PIC was no exception to the rule. The Deputy Minister had tried to explain what had led to that situation, but if he looked at the principles presented by the PIC, he was concerned about the reputational risk when the CEO of the largest investment company in Africa was suddenly replaced because of the CEO’s reign of terror, which is what he had read in the media. Mr Ross asked if the CEO’s departure had anything to do with investments or flouting of processes within the PIC. He just needed that clarified because the events had led to some doubt in the head of the organisation which was not good for confidence, not good for the economy and not good for the reputational risk of the PIC. The Deputy Minister replied that it was an issue of an employer-employee relationship with all its ramifications and so he wanted to walk carefully over that ground. He added that, if possible, he did not want to talk about the ex-CEO. In the PIC statement, the board had thanked the CEO for the great job that he had done and there was no ambiguity about that. The nature of the letter had not been revealed but a number of times the CEO had indicated his intention to leave and he had been stressed by a number of incidents in which his name had been mentioned. He had expressed his displeasure with the situation. The CEO had presented a letter to board that did not help the board to create stability in the institution. When a leader moved, the issue was how to make sure someone came in and settled the organisation quickly. The CEO had left because the board needed to create a certainty for the future. There were also underlying issues that did not make for certainty. There was no question about his contribution to the organisation. The man was highly respected. There would be a farewell party. The Chairperson said that the irony was, if those were the facts, that the suddenness and abruptness of the termination of the relationship had caused great uncertainty. If the former CEO was irritated or disturbed by some of the things that were flying around that cast aspersions on him or the institution, he could have used the platform of the SCOPA meeting and the inquiry that was coming to clear up those things and leave on a high. The abruptness had created uncertainty and concern. The Deputy Minister agreed to indulge the Committee. Statements had been made in the letter which the board had decided not to react to, not because it did not have views about them but because it was in the interest of the CEO and the PIC not to reveal more details. Mr Ross thanked the Deputy Minister for clarifying the matter. He was pleased that the Deputy Minister had said previously that he welcomed the presidential inquiry into the PIC and noted that the scope of the inquiry was from 1 January 2015 to 1 August 2018. He noted that the Deputy Minister had said that the CEO’s termination was not investment-related. The Deputy Minister confirmed that it was not investment-related and there had been no issues of corruption. There were other pertinent issues that he preferred not to deal with. Ms N Khunou (ANC) stated that she had not heard exactly what the Deputy Minister had said about what the Committee could and could not ask. She needed clarity. How come the Committee could ask certain things and not ask other things? Why was the PIC different from other entities and government departments? She understood that the PIC was an investment company but did not understand the limitations. The Deputy Minister replied that the CEO had said things in the letter and it was those things that the board should deal with. It was those things that had resulted in the CEO leaving the PIC. The lawyers were involved and it was an employer/employee relationship and so he asked that he not be forced to deal with that matter in the Committee as it would undermine the situation. Ms Khunou said that she had not heard the Deputy Minister clearly when he had previously spoken but she now understood and the explanation sufficed. Mr Ross noted the efficiency of investments made, but the red zone investments were concerning. He asked that the risk committee respond. There had been a R5 billion loan to Eskom at the beginning of the year. From what he had read in the newspapers, he had not been able say if it was a contingent liability to the state or whether it was a debt that would have increased the risk to the fiscus or whether it was a direct transfer of funds from the fiscus. But he now saw that it was a loan to Eskom that was speedily repaid with interest of R30 million to be paid by the taxpayers. But how did it reflect in the books of the PIC? It was not reflected as a contingent liability nor were there official guarantees by government. Mr Fidelis Madavo, Executive Head: Listed Investments, PIC, responded that the R5 billion was government guaranteed and the interest rate was not punitive. It had been important to keep the lights on, but also to make sure that proper process was followed. Mr Ross recognised that the loan was made on the basis of social responsibility and that the country would accept. Mr Madavo stated that it was also based on financial principles, and interest was charged. Mr Ross accepted that point, noting that the SA taxpayer had paid the interest. That clarified the small loan. The big elephant in the room was the investment in state-owned enterprises. The PIC’s interest in SOEs constituted R183 billion and was the third largest investment portfolio. Was it true? It was a chunk of capital into SOEs. SCOPA was dealing with SOEs. Those were contingent liabilities that would be callable if the SOEs could not meet their obligations. SCOPA knew about the risks and that many SOEs were not going concerns. He was sure that the risk assessment at PIC had picked that up. Mr Ross asked what the PIC’s return on SOE investments would be on average. He also asked for a breakdown of all the investments, returns on investments and risks relating to SOEs. The Committee had heard that evening that SAA had been bluntly refused funds. From his point of view, SAA should be privatised but that was another debate. The PIC had not assisted SAA because it had not qualified for a loan. He noted that Eskom currently had a huge liquidity crisis and so did municipalities that had a debt of about R17 billion to Eskom. Did that pose a risk to the PIC? Was there a different criteria for SOE’s as opposed to other investments? Mr Madavo said that the Eskom exposure was large but government guaranteed so the PIC took comfort in that but over the last while, the PIC had not increased its exposure because of worries about governance and so on. The government guarantee was the fall back. That also partly answered the R5 billion to Eskom because if the PIC had not extended the R5 billion and there had been contingent liabilities, the PIC would have suffered even bigger losses. The Acting CEO added that the biggest proviso of which assets the PIC invested in was also driven by the mandate but that highlighted the credit rating of entities that the PIC needed to look into. The mandate stipulated the type of credit ratings that the PIC should have. Because the pension fund was the biggest client, it also tended towards inflation-linked instruments. The first process in any investment was premised on what the mandate stipulated and that guided the PIC in terms of, for example a fixed-income linked, and that as much as a government guarantee was a contingent liability, it protected the downside. If one looked at the SOEs, they were in line with the development principles as they played a critical role in the economy. She added that at the peak of load shedding, PIC had R20 billion in Eskom. Eskom did worry the PIC because the impact of the fall of Eskom on the PIC portfolio would be fundamental. If the PIC had not loaned the funds to Eskom, the liabilities would have been greater. The PIC had seen it when, at the peak of load shedding, on the unlisted side, it had started seeing investments taking pain. That was one of the things that management and the board were debating as it was a risk. The PIC did not have the final solution but it was something that they were keeping their eyes on. The Acting CEO stated that the PIC had been criticised for investing in SANRAL and e-tolls but for the PIC, it had been critical because it was road infrastructure that was quite critical in terms of the economy of South Africa. The PIC looked in terms the credit ratings that were stipulated in the mandate but also looked into the elements of the type of investment. One of the big things was governance and the board had required a policy on how the PIC would go about influencing government because the fall of SOEs had been mostly on the governance element. Governance was a key element that PIC looked into when it looked at SOEs. Mr Ross agreed that PIC needed to protect and stimulate government investments. Ultimately, government had to step up to the plate if the unfortunate situation arose because then the contingent liabilities would become reality and for government to function effectively, it needed some confidence from the PIC as the biggest asset manager in Africa. He was trying to assess the risk in that regard. The debt was about 53% of GDP but if one included the contingent liability, it would push SA’s risk over 60% and then it put SA in the space of the International Monetary Fund and he thought that the Deputy Minister would agree that it was a risk in terms of the downside guarantor. He wanted to know if the PIC’s risk assessment had taken that into consideration in making investments into SOEs. The Acting CEO said that the PIC looked at risk-adjusted investments. If risk and return were not aligned, the PIC did not invest. There were times when the PIC would walk away in terms of making an issuance if the risk and return were not aligned. Mr Ross returned to the question of SAA because it was so important to the public of South Africa. He flew to Bloemfontein via Johannesburg which both incurred costs and was inconvenient. He asked if the PIC, with the Deputy Minister as part of its organisation, had any practical solutions as to how to deal with SAA. He had once asked the Deputy Minister that the Ethiopian model be studied. In Ethiopia, the airways belonged to the state but were privately driven. Having declined the SAA loan, had the PIC made any proposals in that regard because he sensed that the PIC had highly skilled business people who could come up with different scenarios? Did the PIC go the extra mile in terms of the social responsibility and make recommendation or was it not politically correct to do so? The Deputy Minister said the he was there as chairperson of the PIC board and not SAA in the meeting. He did not want to speak about SAA but there was a general openness on the way to save SAA. There were two schools of thought: one did not favour a state airline, the other said that in the bigger cost benefit picture, a young democracy with so many disadvantaged people would be deliberately walking in the dark if it did not understand the importance of holding some key SOEs such as SAA. He had been envious when he had seen the Ethiopian model. If one went back, there was a point where SAA had worked and worked well. He thought that SAA would work if properly run. The salvation of SAA was possible and the PIC was open to that. The Chairperson explained that Mr Ross was speaking to him as the chairperson of the PIC to check whether, beyond the initial rejection, there was a possibility that PIC would give a loan consideration. The Deputy Minister said that in the past few days, the PIC had done some introspection and asked itself what it was in a position to do to make a difference in the current difficult state of affairs in the country. He thought that the PIC would contribute ideas to resolving the SAA dilemma. Mr Ross asked about the advisory fees and asked if those could be broken down. Was there a broker fee and was it included in the advisory fee? There had been a presentation on fees and he did not want to belabour the point, except to refer the PIC to Steinhoff as the latest example. In respect of Lancaster and Symphony Capital Advisors, as it not a case of fees being made to the same company? Was Lancaster not one of Steinhoff’s companies? Were they not inter-related? Was the percentage of the fees within the normal rate of charges? The advisory fees were quite high because one worked with huge amounts. The total listed advisory fees over ten years was R360 million. Mr Ross said that his last point was to draw the PIC’s attention to the Auditor-General’s report in which Note 21 referred to impairment losses of R82 million. The re-evaluation was with regards to the Bophelo Life Insurance Group. Was that the VBS (Venda Banking Services) scandal? And what was happening there? The PIC had had R82 million there and suddenly that figure was R0. It was a drop in the bucket for PIC but, in terms of real monetary value, it was a lot of money. Had a risk assessment been done in terms of that company? Mr Ross said that he would wait for the responses and then he was done with his questions. The Acting CEO replied that Bophelo was indirectly linked to VBS in that Bophelo was an insurance fund of which PIC owned 30%. When the PIC had acquired Bophelo, it had highlighted that over R80 billion in withdrawals had taken place over the last four years and realised that there was an opportunity in that, once the members exited the fund, they had to take their funds somewhere else, so there was an opportunity in the market to own an investment that would allow a link-back in the whole chain of the PIC. The PIC had invested in Bophelo but, in the last year, Bophelo had invested its money in VBS and then there were potential adequacy issues because the funds were tied to VBS and there was uncertainty as to whether the VBS funds would be recovered. There was a capital adequacy issue so, for prudence sake, the PIC had fully impaired it. It had also been put under curatorship and there were issues regarding it as a going concern because it had capital adequacy issues. The PIC had not written it off, but just impaired it so that if any returns surfaced, the PIC could take it up again. Ms Khunou said that she had looked into four different topics for her questions. She would start with bread and butter issues and from there she would go into investments, control measures, and consequence management. She addressed the Deputy Minister on bread and butter issues. It was difficult for government employees to own their own houses. Government supplied poor people with RDP houses but there were those who did not qualify for RDP because of the bracket they were in, but they also did not qualify for a bond. A scheme had been set up to provide loans to those people but it had been difficult to get the loans. She added that she also knew that whenever people heard about investments being trouble, people resigned from their jobs to cash in their pensions and so, instead of having a pension when they retired, they would rely on the state to give them a pension. She added that the labour movement had been to the PIC some years ago to ask why the PIC could not give the people a loan as it was their money at the end of the day. She was impressed with the way in which the PIC was investing the money and making it grow, but how did it help that person who had contributed to that fund? The PIC was a government company and could not be like Alexander Forbes and all those companies. Why could the people not borrow from the PIC so that they could all own their houses? As a public representative, she had to speak up for the people out there. Black people needed dignity and that came from owning one’s own home. She recognised all the investments, but how did that help the poor people? What was the PIC doing for the man sweeping the street whose pension money was invested in the PIC? The Deputy Minister said that government had come to accept that it was not doing much to help government employees, who were the owners of the money in the Government Employees Pension Fund (GEPF), but work was being done and he asked the Acting CEO to highlight what was being done. The Acting CEO said that the PIC recognised that it was a problem, so the initial investment that it had made was for R9 billion in SA Housing Loans. The product specifically targeted certain GEPF members but now it had been told to develop another special project that gave all GEPF members access. The PIC was putting together a proposal that allowed for the risk as well as a return on the investment to all the one million members of the GEPF. The PIC had gone beyond that and had looked into an investment that was specifically in education and that was before the high of #Feesmustfall. The PIC was looking at ways in which GEPF members could enjoy their funds and not wait until post-retirement. Ms Khunou appreciated that the Minister had said that government was not doing much but was looking at it. She hoped the PIC would share those decisions with the Committee because it was very important. A lot of black people could not get loans from the Industrial Development Corporation (IDC) because they needed collateral. It was difficult to find collateral of 2% of the loan that one wanted. The door was not being opened for new people to enter. People could not get a loan from a bank because of over-indebtedness. She, as a black woman, was taking care of more than 30 people on her own, so people could not afford to own their own homes. The PIC should look at something to give them as a way of thanking them for giving the PIC the authority to deal with their investments. The Chairperson stated that development had to be people-centred. It had to be a fine balance between getting good returns and ensuring that people experienced a better way of living and where better to start than with the owners of the money that they were managing? If the PIC started there, they would be truly progressive. When he was reading the documents, he realised that there was so much money and he wondered how the money could be used to bring about the changes that people wanted to see. Ms Khunou said that most of the projects invested in were based in Gauteng. There was a concentration of projects in Gauteng, Western Cape and KwaZulu-Natal. That was not the geography of the country. How could the PIC ignore all the other provinces? Could the Acting CEO think about what she could if she built shopping complexes in deep rural areas? The PIC was doing lots of malls but they were nice ones, such as Sandton Mall. If shopping centres were built in deep rural areas; that would help businesses and then the PIC could help those businesses not to fail. The Deputy Minister replied that the commitment he would make was for the PIC to give a progress report on the matter. He admitted that investment was mainly in the three provinces and where there was investment in other provinces, it was mainly urban. The PIC knew that there was a need to move into far-flung areas. The progress in that regard was advanced. He added that when they talked about retail property, the main beneficiaries were the poor people because they got job opportunities. Ms Khunou said that people wanted jobs but there was a difference between being a CEO and a cleaner. Jobs did not mean labourers only. The PIC should be helping to raise people from being cleaners to becoming office managers. The real investment and transformation was raising people up jobs as cleaners and other low level jobs. She did not want cosmetic jobs. Ms Khunou referred to VBS. She understood that one of the ways that the PIC oversaw companies was by going one-on-one to the companies to see what they were doing. She was also looking at consequence management in her question. The PIC had had two board members on the VBS board. Who were they and what had they reported to the PIC? If the PIC really considered the risks stated in the presentation, how could they have made that mistake? What had happened to the two people? The Acting CEO said the PIC had had two members on the board of VBS. One person had been the Executive Head of Risk and the other person was the Executive Head of Legal. She believed that the rot had been too deep, as the PIC had indicated in its report. The board had since asked management to reflect on the processes. The PIC did its best but sometimes the processes were not bullet-proof. The two executives had not reported the potential fictious transactions. The Chairperson asked what they had reported to the PIC. The Acting CEO replied that they had not reported anything. They did not tell the PIC that there were issues. The regular reports said everything was good and the business was growing and it was the advancement of a black bank, which had been the reason for investing in VBS. Just before the fall, VBS had come to the PIC asking for a loan. When the PIC started investigating, there was something in the numbers that did not add up and the stories had not made sense. For example, one day there was R20 million in the bank management account and the next day, it was R2 million. What had happened to the R18 million? At that point the PIC had started to feel uncomfortable and VBS had not been given funding. She added that one person had been disciplined and dismissed and another had resigned before the disciplinary process got underway. Both ex-employees were debarred from working in a financial institution and criminal charges were going to be followed so that every employee understood that he or she could not withhold critical information. Clients entrusted the PIC with their money and it was of paramount importance that the owners of the money trusted the fund. Ms Khunou said that was real consequence management. But what were the names of those executives? The Acting CEO stated that the Executive Head of Risk was Mr Paul Magula and the Executive Head of Legal was Mr Ernest Nesane. Ms Khunou noted that there were some non-executives who had been tasked to investigate VBS at some stage. What had happened to the information and how far were they with the report? Was the report available for the Committee? The Acting CEO promised to provide the report after the completion of the forensic investigations. Ms Khunou had been interested to hear that the PIC was having one-on-one engagements with companies in which it invested but how many companies were there? What was the staff complement? Mr Chris Pholwane, Executive Head: Human Resources, PIC, stated that the corporation had close to 400 staff members but the approved organogram allowed for 517 positions. The PIC was looking at a new model to determine how many staff was required. It was currently busy with that and had procured some independent services to benchmark the PIC against both similar local and international asset managers. The Acting CEO said that she would brag that more than 90% of the staff was black so it was the biggest black asset management company in Africa and in support of the 400, the PIC had a graduate programme taking in 47 black graduates from previously disadvantaged universities on a two-year programme. Ms Khunou asked who had been overseeing Steinhoff. What had gone wrong and when had the PIC realised that there was a problem? What had happened to those particular people? Ms Rubeen Solomon, Executive Head: Investment Management, PIC, stated that the issues had been flagged early on, long before the collapse had actually happened. The engagements were not always successful and the PIC had received a lot of pushback from the company but subsequent to the collapse in December, the new board members had been much more open and were engaging the PIC as to where they were and what they were doing to retain value. There had been engagement beforehand but the recommended changes had not been taken up. The PIC was part of a group action against Steinhoff and was pursuing the actions that went with that. Mr Madavo added that the Committee should refer to the earlier processes that he had presented for selecting companies in which to invest, which included buying quality companies, etc. The investment team had picked up issues earlier but, because of the way in which the PIC invested, they had been unable to take action. The mandate said managers could underweight the position, but at one point Steinhoff was doing very well financially. The team had been concerned about all the acquisitions made by Steinhoff in quick succession. Those led to red flags and alarm bells. Ms Khunou asked whether the PIC had the capacity to monitor investments. The Steinhoff project was one that had got the attention of the public, but what about other investments? Was the PIC vigilant enough to see the grey lines before they became red and a real problem? The PIC had given R9 billion to Jayendra Naidoo, a huge amount of money, without due diligence. How did the PIC do that? Had the managers not followed their own checklist? Mr Mervin Muller, Executive Head: Private Equity, PIC, stated that R9.35 billion had been given to a company called Lancaster which was owned 50% by GEPF, 25% by a broad-based trust and 25% by Jayendra Naidoo so if one broke it down, one could say R2.3 billion of the funds went to Jayendra Naidoo. The Chairperson asked for the names of the members of the broad-based trust. Mr Muller replied that it was not a trust of individuals but a whole lot of companies and organisations that dealt with entrepreneurs and had been set up for BEE projects. The Chairperson said that Jayendra Naidoo had made the application for R9 billion on his own and when he had applied for the funding, the BEE component had not been sorted out. When he had gone through the minutes that the PIC had sent in confidence, he had picked up that point, which was why he wanted to check out the BEE components. He wanted a deeper explanation. Mr Muller agreed that Mr Naidoo had come on his own with a proposal for all the funds to be invested in him and it was because of the PIC requirements that 50% of the stake was invested in the GEPF and 25% in a broad-based trust. When it came to BEE investments, the PIC typically invested below R1 billion. That loan had come from another portfolio called the Structured Investment Products Portfolio, and in that portfolio, the PIC required underlying guarantees from someone else and there had been a good investment from CitiBank. Mr Naidoo had only brought 2.75% equity, and it was very difficult to undertake transformation of companies if the PIC did not do larger cheque sizes for a company of that nature. The PIC had extraordinary rights on the 2.75% which would have allowed transformation and allowed the PIC a board seat in the company. The PIC had done due diligence and had not picked up the issues that had subsequently unfolded but he admitted that the PIC had relied on auditors and the fact that it was a listed company. The Acting CEO added that the PIC was considering the current model in the light of the question of whether the PIC had sufficient capacity. The PIC was reviewing the operating model, given the size of the assets that the organisation was managing. The PIC was still running through that process. She added that foreseeing such a situation was difficult with a listed company, because the managers had a limited amount of information. Hence the PIC had relied heavily on the auditors. The PIC had since seen that the auditors were a big problem. In terms of the ESG listed investments, the biggest vote against investments had been the re-appointment of auditors. VBS and Steinhoff had auditors who had not indicated the problems. The PIC was trying to find other ways of going beyond its reach and finding people who could be held accountable. Ms Khunou asked why the PIC went into investments where it had to take such big risks when it did not know enough and did not have proper systems for them to assess risks. How much had the PIC lost in terms of Steinhoff? Which officials had dealt with Steinhoff and what had happened to them? The Acting CEO replied that about 80% of the listed portfolio was managed passively. The client gave the PIC a mandate and the PIC had to track the benchmark and, depending on the weighting of that investment, the PIC would hold it. For example, the current weighting in Naspers was R212 billion but it was premised on the weighting that it had on the benchmark. The PIC had been underweight in Steinhoff. She added that in listed holdings, the managers had limited information and limited access to information. Sometimes one might think that there was an issue but could not be sure. In such a case, it was underweighted. It was based on that that the PIC had the big cheque sizes. The Acting CEO explained that with certain transactions, the PIC could put through a protection. In Lancaster it had put through a protection and that transaction was sitting at R6 billion. Pepkor was doing well. The PIC believed that Steinhoff Africa was a good asset and the managers still believed that there was value in Steinhoff, especially the African part of the business. The Chairperson asked what the loss was in Steinhoff because the investment had been more than the R9.35 billion. Mr Muller said that the value lost from the listed portfolio was R14 billion and the valuation of the R9.35 billion was currently R6.9 billion. If one included interest accrual, the PIC had lost R4.3 billion. But, if one just took capital invested, the PIC had only lost about R2.4 billion so far and still felt that it would get more back from Pepkor. Because of the protections put in place on the unlisted or structured investment product transactions, the PIC was still quite safe. Most people had lost 70% to 80% of their money whereas the PIC was still 80% in the value, so its protection had worked on that transaction. Ms Khunou stated that, for those sitting on the other side of the room, R2.4 billion was a lot of money. If the government had that money, it could have built hospitals and schools in every rural area. It was a problem but the person who had dealt with Steinhoff should have looked into the investment properly. What had happened to that person and what steps was the PIC taking to make sure that there was no repeat of the Steinhoff problem? The Acting CEO responded that the matter that had come out of Steinhoff could not be attributed to an employee who could not have seen that management was lying. One could suspect something, but one could not say for certain. There was no maliciousness by staff. No staff members were being punished because it was beyond what they could have picked up. Ms Khunou wanted to know about shares to support BEE. She wanted to know who the beneficiaries were in terms of transformation because she was looking for value for the people. Mr Muller stated that the PIC had been working for a long time on how to get benefit for the GEPF members and it included the housing project. The PIC was at the final stage of trying to get the clients over the line. When buying and doing BEE transactions, it had housed specific portions of shares in some of the deals so that the PIC could implement a project where it could give those shares to members in some form or in a listed structure. Some of the shares had already contributed quite a bit of value that the PIC would be able to constitute into a structure in which member could immediately participate and where there would be value for money. The problem was just finding the right model that everyone agreed to. The PIC had come a long way in developing all the programmes but it needed to convince the clients, the unions and other parties. The PIC was not far away from creating value structures. Ms Khunou suggested that the PIC policy did not talk to any policy in government. The Committee had to monitor the PIC, so why was the policy so different? The Deputy Minister had said he would not talk about the former CEO but the former CEO had frequently said that he was withholding information because of the PIC policy. The Committee wanted to see the PIC policy. The Acting CEO said that she would answer in terms of disclosure. The assets did not belong to the PIC but to the clients and the PIC was governed by the Financial Intelligence Centre Act (FICA). There was a specific section in that Act that did not allow the PIC to give out information. It was not a PIC policy but the PIC was carrying out the requirements of FICA. The information disclosed that day had been disclosed with the specific permission of the clients. Mr M Booi (ANC) asked whether, given the nature of the problems, and if one looked at the Ayo case and the Steinhoff case, the way that the PIC related to the media not a problem. The PIC was a closed shop and no one saw what it was doing. It had very secretive ways about what was happening in the PIC and the pensioners did not know what was the happening, so the politicians had to come in. The Ayo case and the Jayendra case gave the impression that certain people were benefitting and only if someone was known to the PIC, could one benefit. If one was not known, one could not benefit. But how did one get known by the PIC? Processes sometimes became very crooked. In the Ayo case, only when the money was gone, did the PIC think about doing a risk analysis but it was too late to do a risk analysis after the money was gone. Should the PIC not open up to the media and stop dealing with friends? The Deputy Minister agreed that the PIC was a bad communicator and the board had discussed it with the Acting CEO. The PIC only explained itself when it was attacked. It did not have a well-established communication unit so it could not react timeously without being defensive. It was a huge institution so the size of the communications unit did not make sense. That should have been dealt with a long time ago. He had asked the Acting CEO to deal with improving communication processes. The Acting CEO assured Mr Booi that it was not about who one knew. As a business, the PIC had to make its business known and improve its accessibility. The PIC was looking at re-structuring and the board had told management to look at the communication strategy. The PIC was always on the backfoot and did not provide the necessary information. Together with its biggest client, GEPF, the PIC was looking to communicate with members of the GEPF and to provide them with the necessary assurance. The Chairperson asked the Acting CEO to respond to the issue about the technologies deal. When he had gone through the minutes, he had been concerned about the timeframes but it also looked like they were dealing with dishonest people who had not tied down all the critical elements and the deal did not seem to be in favour of the PIC. He got a sense that those who had originated the deal had really wanted it to go through. Mr Booi told the PIC that if it looked at the Steinhoff case, even a Member of Parliament could not come to their defence. They had just seen that pensioners’ money had disappeared. What about the pensioners who just heard that their money was gone? But the PIC would not come to Parliament and explain. There was no relationship between the PIC and the leadership of the country. The PIC did not allow society to see what was happening. The money that it was distributing was huge and it no longer made any difference if monies disappeared. That was why SCOPA had called the PIC to appear before the Committee. The PIC was being light on governance and it looked as if it did not have a clue as to what it was doing. Why follow principles that denied transparency? The Chairperson added that when SCOPA had called, the PIC had brought a legal opinion. The Deputy Minister replied that there had been confusion about referring to clients but the PIC was a state-owned entity and they all understood that the organisation had to report to the state. The next board meeting needed to be briefed as to where the new CEO was taking the PIC. In the short engagement that the board had had with the Acting CEO, the issue of transparency had come to the fore. The Deputy Minister said that the IDC was now transparent and so one could go back and see what had happened so that it could be corrected. In the PIC, one could not do that because no one knew what happened in the PIC. The PIC had to become transparent. Its processes had to be known and they had to speak for themselves. If processes were not openly known even the good processes would be suspect. It all went back to developing good communication. Mr Madavo said that due diligence had been done in the case of Ayo and there was a process in which a JSE form had to be signed but the PMC (Management Committee) had not approved until that had been signed. Maybe that was where there seemed to be a problem. The Chairperson said that they should not talk about maybe. Approved and ratified were two different things. A deal was supposed to be approved and not ratified. Mr Booi asked about the secretive R5 billion given to Eskom. No one in the country knew that the PIC had given Eskom R 5 billion. Now everyone would say PIC had given Eskom R5 billion and ask what they had bought with the money in secret. The pension money had been invested in Eskom and now Eskom had load shedding. There was a total disregard for society. Was Eskom now blackmailing politicians in December of the same year to get more money? Or what had happened? The Acting CEO said that the PIC did not believe that it had done the deal with Eskom underground. The PIC had gone to the client and had asked the client for its blessing. The PIC needed to reflect on its communication, but it had not seen the R5 billion to Eskom as a secret. The Chairperson said the minutes suggested that the PIC had been scared that there would be a backlash from some people. The PIC had not gone through it confidently as one SOE helping another SOE. Mr D Maynier (DA) stated that he wanted to traverse five themes, most importantly, the questionable investments. For months previously, the PIC had refused to disclose information to the Committee and the PIC had specifically refused to disclose information to him about Nana SAO and SAO Capital and fees paid to those companies. The PIC had attempted to get him to sign a non-disclosure agreement, which he had refused to do. But now some of the details had been revealed. Why now? What had changed? The Deputy Minister said that he had explained that there had been a confusion about what could be withheld but the Committee had told PIC that it was obliged to provide information. The Committee would manage information that was confidential. Mr Maynier asked if any person in his office had attended and participated in PIC board meetings, and, if so, why and what status did the person have in the board meetings? The Deputy Minister said that when he attended PIC meetings, he had someone with him to keep his records. Mr Maynier asked if the person participated in the meetings. Mr Maynier asked if Mr Mokwena was entitled to attend the meetings. The Deputy Minister stated that he had explained that Mr Mokwena assisted in recording the decisions as he had to attend so many meetings and then follow up with correspondence, etc. Mr Mokwena did not participate. Mr Maynier asked how he assisted. The Chairperson replied that the question had been answered. Mr Maynier moved on to the scope of discovery. The Committee had asked him for certain documentation and the spine of that was a letter dated 9 October 2017 from the former Minister of Finance, Minister Gigaba. If he looked at the scope of the discovery, it was unclear to him that he had discovered all the BEE consortiums that were associated with the PIC and the ones which had benefitted more than once. Could the Deputy Minister please clarify that? Secondly, in his document, he had said that he would discover details about transactions, including advisory fees and referral fees, over the past ten years, but it appeared that he had not done that. There was no discovery of any fees from 2008 and 2015 or in 2018. Why had he not discovered all the fees? The Chairperson asked Mr Maynier to focus on substantive issues. Mr Maynier said that he would put it on the record and then move on. Why had he not disclosed Nana Sao’s role as an advisor to Goldman Sachs for over a decade? Fees had been paid to Nana Sao or Goldman Sachs for over a decade. Equally, he had discovered information about politically exposed persons but the question had been: which politically exposed people had been scrutinised by the Social and Ethics Committee and what were their recommendations? He put that on the record. An explanation was required and further discovery of information. Mr Maynier moved onto transactions now that the Members finally had some information about the fees paid. The first transaction was the Vodacom transaction where Symphony Capital was paid R167 million and Mergence Africa Capital was paid R36 million. Mr Maynier read a reply to his parliamentary question dated 26 February 2016. The question had asked the Minister if any firms or consultants had been employed to deal with the disposal of the government share in Vodacom. The answer was that government had the necessary expertise to dispose of the government share in Vodacom without requiring the services of any consultants or financial intermediaries. When it came to the settlement, the answer to his question stated that with the PIC being a financial services provider registered with the Financial Services Board, government was required to appoint a broker to establish a brokerage account through which the settlement was effected. It went on to say that there was a Request For Proposals and eventually Rand Merchant bank was appointed as the broker and no fees were charged. The Finance Minister had said that there were no intermediaries or consultants and no costs but the Deputy Minister said that there was nearly R200 million in costs. How could that be explained? Had the Minister been lying? Mr Muller said that the Minister had probably been referring to government itself because there were two parties to the transaction. One was Government through the Department of Telecommunications and the other was the PIC itself. Government had appointed a broker at a relatively small fee, which was normal for such trading transactions. The PIC had appointed an advisor at the time. The 13.9% that Government had wanted to sell could not have been taken up in the portfolio at the time because it would have created a massive overweight. The Chairperson clarified that Government had a broker and the PIC had appointed an advisor. Mr Maynier asked why the two companies had earned nearly R200 million in fees. What work had they done? People were shocked that the PIC had paid any fees at all. Mr Muller said that Symphony Capital had begun work about a year before the transaction and had spent a long time trying to work out how the PIC could take in such a large percentage and get to a maximum position. At the time, Vodacom could only take about 4% so the PIC had to work on how to take on the 9% without jeopardising the portfolio. Symphony Capital was advising on various hedging strategies and negotiations with banks, etc. Symphony Capital had worked out the strategy for bringing the overweight position into the portfolio. He could provide the scope of work at the next meeting. Mr Muller added that Mergence Capital had been appointed about a year later to run down the hedge for the PIC. Mr Maynier asked who Symphony Capital was. It had a website but that did not provide their names. Mr Muller stated that the key people were not together in the firm anymore. They were Jonathan Tyler, Steyn and Gregory, whose surnames escaped him. Mr Maynier noted that three people whose names Mr Muller could not remember had earned R167 million. He thought that that needed further investigation. Mr Maynier moved on to Sao Capital that had earned significant fees in the MTN Nigerian deal and in the Angolan Bond deal. Who exactly was Nana Sao Capital and how many employees did the firm have at the time that had earned the fees one would expect an investment bank to earn? Mr Madavo said that Nana Sao was a SA citizen, born in the Eastern Cape, who had worked at Citibank and Goldman Sachs. He had formed an emerging market advisory firm. He had five employees. The PIC had used him for the Angolan Investment Bond and returns on that investment had been very good. Mr Maynier moved on to Lancaster and Steinhoff. Lancaster had benefitted from the deal, earning R22 million. Could he explain that? Mr Muller explained that it was a mistake to call it an advisory fee as that had been the share transfer tax. Mr Maynier moved on to questionable investments. 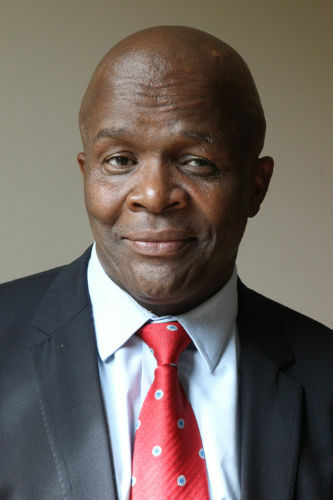 He had heard that Ayo was a good catalytic investment but it emerged that the Head of Internal Audit had conducted an internal investigation into the transaction and had found major deficiencies, not the least of which was that R4.3 billion had been moved before the transaction had been approved and before the put option was signed. There were major internal difficulties with the deal. Could the PIC summarise what the difficulties had been with the Ayo deal? What action had been taken? He expected that a couple of staff had been fired. The Chairperson asked who had not completed the form. Mr Madavo said that one person was the CEO and the second person was the General Manager of Equities, Lebogang Molebatsi, who had been acting in Mr Madavo’s position at the time. Mr Madavo had been out of the office at the time. Regarding the put option, the committee had said that they could go ahead but they needed to get the put option in place. It was not as if they would get the put option first and then do the drawdown. Mr Maynier noted that R 4.3 billion had been disbursed without the transaction being approved and with no put option in place and the due diligence had received no financials from BT Communications Services. That was a major failure internally and it seemed that no one had been held accountable. Was that correct? Had anyone been fired or disciplined? The Acting CEO clarified that the payment was only made on 22 December and the deal had been approved by PMC Limited on 20 December. The money had not been disbursed without the PMC Listed approval of the transaction. Only the PUT option was outstanding. The Chairperson said that he had expected her to say that all outstanding matters had been finalised. The Acting CEO explained the process. When a disbursement happened, the respective Heads actually sign to say that all process had been finalised. The only one outstanding was the put option. The Chairperson commented that, having been signed by the CEO himself, there was no one to take action against him. Mr Maynier asked for confirmation that there had been no action in respect of that deal. The Acting CEO confirmed that was correct. Mr Maynier moved onto Sagarmatha which he understood was a deal that did not proceed but the PIC had been put under political pressure by trade unions and certain political constituencies. Who had put the PIC under pressure in respect of that investment? What were their names? The Acting CEO stated that she was not personally aware of any pressure by any trade unions or political constituencies. Mr Maynier asked if she was aware of any lobbying of the PIC in respect of the investment. Ms Lindiwe Toyi, Chairperson: Social and Ethics Committee, PIC, said that she could help. If she remembered correctly the PIC had received letters before the meeting, one of them was definitely from a union, which could have been FEDUSA. She suggested that the corporate secretariat could supply the letters. Mr Maynier stated that it appeared that the Sagarmatha deal was somehow linked to disposing of the Independent News debt to the GEPF. Could the PIC explain that deal or what Dr Iqbal Survé and his team had intended? It appeared that there was an effort to link the possible deal with Sagarmatha with disposing of the debt obligation to the GEPF. Mr Muller stated that he was in the Unlisted team so he had not been involved in the listed part of the Sagarmatha deal but he had received an offer from Sagarmatha to buy out all the stakes that PIC had in Independent News, but they made the offer subject to Sagarmatha having a successful listing. That was it. When his unit had gone to the Investment Committee to get approval for that sale, which would have been a good sale for them, his team had been told not to talk to the Listed team as there was no way that that deal would be continued. The Unlisted team had hoped that the listing would be successful but everything fell through when the listing had not happened. Mr Maynier moved to the deal with S&S Refinery. It appeared that at some point in the transaction, the companies involved in the transaction had disclosed to the PIC that Siyabonga Nene was associated with one of the companies. The disclosure that Siyabonga Nene was an inter-related party was made to the PIC. So the PIC had been aware that Siyabonga Nene was part of the deal. It seemed that the PIC had been confused about how to deal with the matter because there was no policy on inter-related parties. It appeared that it was agreed via a formal instrument that Nene had to be at arms’ length from the deal. It did not appear that the risk was ever elevated to higher levels. Was the risk ever assessed by the Social and Ethics Committee? Was the Committee aware of the Siyabonga Nene matter? Mr Roy Rajdhar, Executive Head: Impact Investments, PIC, stated that the PIC had been aware of Siyabonga Nene being involved in the transaction. The Investment team had introduced the investment to the PMC requesting permission to proceed to due diligence. The committee decided there was work to do be done to see whether there had been any contravention of legislation or reputational risk associated with it. What normally happened after one had been given permission to proceed to due diligence, was that an engagement letter was concluded between PIC and the client. The request from the Committee was to include in that letter that, should it occur that there was an issue with Mr Nene being involved in the transaction, the PIC could pursue the transaction in its own right without any involvement from Mr Nene. That was what eventually happened. The transaction happened with a sponsor in Mozambique and the PIC. Siyabonga Nene had not been involved in the transaction. Mr Rajdhar added that there had been no process to send transactions to the Social and Ethics Committee as it had been dealt with at the PIC where a decision had been taken not to fund him. Mr Maynier asked how the PIC knew that Mr Nene was not involved in the transaction or paid a referral fee. Mr Rajdhar said that the PIC knew the shareholders in the company and it was only the PIC and the Mozambican sponsor in the transaction. The PIC had made the situation clear in the engagement letter. He was confident that there was no involvement by Siyabonga Nene. The referral fee was paid to Zaid International Trade and Investments which was owned by Amir Mirza who was a partner with Siyabonga Nene in a local company called Sunflower Oil Mill. The fee was paid to Amir Mirza and to the best of the PIC’s knowledge the fee had gone solely and entirely to him. Mr Maynier asked if he had not thought at the time when Siyabonga Nene’s father was chairman of the PIC board and the Deputy Minister of Finance to escalate the issue as a significant risk. Mr Rajdhar said that concerning investment decisions, the risk would be handled within the PIC. It had gone to the first Committee and management had not been happy with Nene’s involvement. Mr Maynier asked for a comment from the Chairperson of Social and Ethics Committee on the matter. Ms Toyi explained that the matter had occurred before she became the Chairperson and even before the time of her predecessor, so she could not answer the question. Mr Maynier said that his last two questions related to Steinhoff and the investment in Independent News. He had heard that GEPF had impaired both those loans. Could the PIC explain to non-investors what impaired meant and what action the PIC was taking to ensure that those loans were repaid? Had the PIC taken legal advice? What was the PIC doing? Mr Muller explained the difference between impairment and write-offs. When one wrote something off, one had taken the decision that one would not recover anything from the loan. Impairment was a movement following an evaluation made from the time of making the investment to certain point in time. Every year the PIC did an independent evaluation of all the PIC’s investments and if the evaluation was higher, the PIC had made a paper profit on that investment so it became a higher evaluation on the books. When the evaluation was lower, it was shown as an impairment. It did not mean that the investment had to be written off. Mr Muller explained that in the case of the Steinhoff investment, there was a certain term in the investment and a certain value in the investment, and because there had been no breach in the investment such as a payment, the PIC was not doing anything, such as taking legal action. The PIC was obviously concerned that there was a value loss, specifically in Steinhoff. The PIC was taking a class action to see if it could recover some money there. He added that PIC was concerned about the IMM (Institute of Marketing Management) investment but before taking legal action, the PIC was negotiating new terms. IMM had made an offer as to how it could repay the loan and the PIC was considering that. Mr Maynier asked when he expected that process to be complete. The Acting CEO said that the financials had been tabled two days ago. Mr Muller said that the PIC was expecting a resolution of the Independent News matter. The PIC was considering accepting the offer. If one looked at the evaluations at that poin­­t, the PIC would probably have no other choice because the securities were not enough to take it over. The PIC intended taking a decision before the end of the year. Ms T Chiloane (ANC) said that she had follow-ups on questions asked. She had noted the fees paid in the MTN Nigeria investment. In relation to the Nigeria MTN matter, there had been news that due to violations of exchange controls regulations, the PIC had lost R1.8 billion. Could the PIC explain that matter? Mr Madavo stated that MTN was the main holding company and holds the majority of shares in MTN Nigeria and so the PIC was invested at two levels, i.e. with MTN holding company and with MTN Nigeria. What had happened in Nigeria since the collapse in the world price and the exchange controls violation is that the current value of MTN Nigeria had come off. The Group was fined for issues around sim cards and, of late, the accusation that MTN had taken money illegally. That had resulted in negative perspectives and a decline in share prices. However, the share prices were recovering quite strongly. The PIC had increased its position in the MTN group and was looking to add a number of things to make sure that the PIC would be more of an activist investor, particularly in things related to Nigeria. Ms Chiloane asked the person in charge of Risk Management to elaborate on this. There was something about it in the confidential minutes. 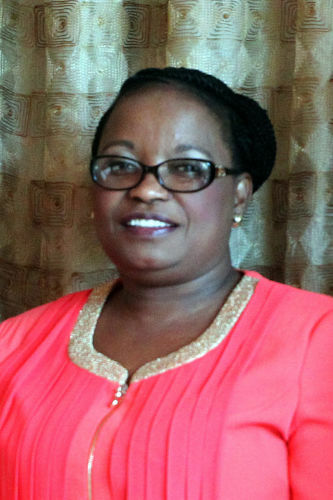 The Chairperson stated that Ms Chiloane was welcome to raise questions in relation to the confidential documents. Ms Chiloane said that sometimes the PIC made an investment and later did a re-evaluation and then wanted to go to a particular country and have a meeting. She asked if the Risk Management Committee was active. Ms Candice Abrahams, Acting Head: Risk Management, PIC, said that there was a centralised Risk Management Department in the organisation. There was a section which looked at the risks from a management perspective as well as PIC Corporate. The Acting CEO added that the investment team had done due diligence, risk and ESG. When the PIC got to a transaction, certain conditions had to be met before disbursement happened and certain conditions happened post-disbursement. The post-disbursement conditions had to happen within a specified period. Ms Chiloane asked about the Lancaster issue. The PIC had said something about recouping R4 billion. What could be done differently to avoid such huge losses? It was suspicious the way that the money had been lost. From whom was the PIC going to recoup the money? The Acting CEO stated that the PIC was part of a class action law suit to try to recover some money because the PIC believed that there had been management misrepresentation. The PIC also believed that Steinhoff Africa had value and so the PIC still held the share because once the information came out as to what had happened, the market would price the shares and the PIC would find value in the assets. At the moment, the concern was that no one knew how big the problem was. Ms Chiloane asked about what was happening in the case of S&S Refinery. The Public Protector had made a report following her investigation of the investment made in S&S Refinery by the PIC in 2014. The Acting CEO said that the PIC had submitted the requested information to the Pubic Protector but, so far, it had not received feedback. Ms Chiloane said that she was asking because the PIC was involved in a number of investments with the Refinery. Mr Rajdhar replied that the investment was only in the edible oil. There had been subsequent rounds of funding into the edible oil plant. The PIC would not be doing any additional investments in the group as a whole. There would be no additional rounds of funding. An operator had been appointed who was injecting working capital into the crude oil plant. Ms Chiloane noted that, on the unlisted investments, there had an approval of an investment in the refinery by GEPF. A meeting had been held in October 2015. She read from a confidential document showing that GEPF was concerned about the investment in the Refinery. Had there been a re-investment? Mr Rajdhar explained that when GEPF gave instructions to invest funds, it would say in which one of the investment sub-portfolios, the funds should be invested. There was an economic fund, etc. The extract read by Ms Chiloane had been referring to a discussion about which sub-portfolio the investment should fall under. Ms Chiloane noted that Labour was of the biggest assets. How many Labour representatives sat on the PIC board? Who represented Labour? The Deputy Minister replied that no one represented Labour on the PIC board. The board members brought expertise. Labour was represented at the GEPF. Ms Chiloane asked how Labour received feedback. Did they have any influence over the decisions regarding investment? The Acting CEO stated that Labour sat on the GEPF board and PIC was obligated to report back quarterly to the GEPF board and that was where the Labour representatives received the feedback. The Deputy Minister added that GEPF was a mandating client of the PIC and everything PIC did was in accordance with the instructions of GEPF. Mr E Kekana (ANC) said that his difficulty was that it was not a normal SCOPA hearing. His concern was about the reputational risk. The PIC was operating like an underground structure which did not want people to know what it was doing, even though there were certain good things that the PIC seemed to be doing. He had heard about the chairperson of the PIC board developing a communication strategy. What were the timelines? When was the PIC intending to develop the communication strategy? The Deputy Minister replied that he had requested the communications strategy. The CEO could advise when it would take place. The Chairperson explained that Mr Kekana had asked for a timeframe. If there were no timeframes, they should just say so, so that the Committee did not wait for Godot. The Deputy Minister agreed that there were no timeframes but he would give a report in the following year. Mr Kekana replied that he wanted specific timeframes so that the Committee could hold the Board accountable. The next meeting was not good enough. The Deputy Minister added that the communication strategy was urgent and long overdue. Mr Kekana was pleased with that as it was a better answer. He was concerned about reputational risk. There was corridor talk about the PIC funding a political party. Was that true? It had been in the media. The Acting CEO said that she was not aware of a political party being funded. Mr Kekana said that she had to explain such things. If she did not come out with it, the corridor talk became reality. His colleagues had already dealt with his concerns, VBS and Steinhoff. Ms Khunou asked how the PIC determined the percentage of the share price that it charged per investment. It seemed to her that the percentage was not constant. The Acting CEO said one of the processes undertaken by the PIC was respective valuations of an entity to figure out how much the PIC wanted to buy. In listed investments, the PIC tried not to exceed the 20% mark. It was based on the evaluation. Mr Madavo agreed that it was based on the valuation, but, more importantly, the GEPF gave PIC a mandate to invest in the JSE SWIX All Share Market and the weight of the company in SWIX regulated how much the PIC could hold of that company. Naspers was about 25% of the SWIX weight, so the PIC held quite a substantial amount of Naspers. Ms Khunou stated that she knew that the PIC had a programme that empowered municipalities, although she did not know the name of the programme. How many municipalities had benefitted from that programme? Could the Committee get a list before 15 December 2018? The Acting CEO said that she did not know of any such programme but sometimes the PIC used other entities to extend. For example, the PIC had put R14 billion into the Development Bank of South Africa which was highly involved in working with municipalities. The PIC also invested in certain SOEs because it wanted them to carry out their mandate. Ms Khunou asked about the Clinics Health Group. Was that Victoria Hospital? Mr Rajdhar stated that it was not Victoria Hospital. The Hospital and Clinic Group was mainly in Gauteng and contained mainly the former Lesedi hospital. Ms Khunou was concerned because most of transformative information that the Committee wanted was still work in progress. There was nothing tangible that showed that the country was going somewhere. The private hospitals and clinics were all for people with money. The PIC should be focussing on hospitals in rural areas and the Chris Hani Baragwanath Hospital. But instead, the PIC was investing in private hospitals. One had to be known to get money from the PIC. Only the big companies were getting the money. Even the mines had closed because they could not get the money. The PIC was not letting people get in. The PIC could not only lend money to rich people. Why was the PIC not extending into the real economy of the people? How was the PIC planning to fill the space? Ms Khunou asked about the loan bracket. The IDC had a bracket and it worked with people in that bracket to get loans. The National Empowerment Fund gave loans of up to R5 million, and so did the Small Enterprise Finance Agency. Could anyone go to the PIC and get a loan? Mr Rajdhar said that in terms of funding brackets, where the PIC was dealing with a high volume of low bracket transactions up to R150 000, the PIC gave a wholesale facility to intermediaries that were already in the market. 784 micro enterprises had been funded as a result of the PIC providing a wholesale facility to businesses. In terms of microenterprises borrowing around R1 000, the PIC had previously funded a women’s group and finance was provided to the Small Enterprise Foundation because it was more efficient and cost effective to work through an existing intermediary. Mr Rajdhar added that in respect of hospitals, the PIC had funded hospitals for the man in the street but funding single licences was not profitable because single hospitals had no bulk buying power. The PIC was supporting new hospital groups. Every transaction had BEE as part of it. Ms Khunou asked who was responsible for transformation. How did PIC to bring people to that level? It was the duty of the PIC to implement transformation policies. Ms Khunou said that one of the problems that Eskom had was that it was giving Anglo, Exxaro, etc and big white companies the cost plus mines. Blacks had only 6% of the mines. Eskom had agreed to give the whites money for 40 years to come. It was the duty of the PIC, because it was giving money to the SOEs, to change their way of thinking. She did not want SOEs to die but there should be monitoring and they should be helped to go to a different level. Everything was a secret. It was not supposed to be secret, especially as it was a government corporation. The Chairperson was sure that the advice had been taken by the PIC. Mr Ross responded to the remarks made by the Acting CEO. Steinhoff Africa was a separate company from Steinhoff. Was it technically and legally correct to say that the PIC might be getting money back on Steinhoff. He wanted a legal opinion on that. Mr Ross had a second issue with regards to the PIC’s hand-on management where the corporation placed personnel on the boards of organisations where it had interests. That was the case in VBS and Steinhoff. Then there were external auditors. He agreed that external auditors had inflated prices. What was the position of the PIC where its managers were on the boards of companies that used KPMG as external auditors? Were they considering withdrawing their staff from the boards because of malfeasance? And what were the recommendations of the PIC regarding KPMG? SCOPA was working toward accountability so Members wanted to know what the position of PIC was. Mr Muller said that the first transaction with Steinhoff was the purchase of a 2.7% stake through the back of a collar which contained a put option with Citibank. The Chairperson asked where he was going with his explanation. Mr Muller said that he wanted to show why the PIC had linked STAR, which was Steinhoff Africa, with Lancaster. Mr Ross said that his position was that STAR was a different company and a different legal entity from Steinhoff. How could one feed off the other? Mr Muller said that there were STAR shares in the Jayendra transaction from which PIC could claim. He stated that the PIC could also get a claim on the STAR assets in the Steinhoff transaction. He warned that there could be counter claims on STAR assets. Mr Ross had wanted to know, legally, if the PIC had losses in one legal entity, could it claim assets from another legal entity. He did not think that the PIC could. The Chairperson agreed that STAR was a good asset but it could not cover the bigger picture of the Steinhoff losses. The Acting CEO responded to the KPMG question. Where the PIC had board members and had to vote for KPMG as the auditor, the PIC board members responded on a case by case basis. The PIC had met with the CEO of KPMG and was awaiting the Regulator’s Report. Mr Maynier asked whether any aspect of the Ayo transaction had served before the Social and Ethics Committee to consider if there was a risk from any politically exposed persons. If so, what recommendation had it made? Secondly, it was clear that the PIC was concerned about the BEE transaction in Ayo. What were the concerns and what was the name of the unrelated party that had received R76 million? Ms Toyi replied that AYO had not served on the Social and Ethics Committee and the amount involved was less than the amount beyond which it had to go to the Investment Committee. However, it had served at the PMC, which was a management-level Committee. Mr Madavo did not have the name of the person, but it had been the AYO in-house advisory team. Mr Maynier asked who the BEE entity was that had benefitted. Mr Madavo said that as far as he knew, no BEE company had benefitted from that transaction, but he would look it up. Mr Maynier asked about the transaction costs in the Vodacom and Symphony transaction and in the Sao Capital transaction. What process had PIC followed to determine who got the work? That was Jonathan Tyler, Steyn and Greg. Did the price relate to work or value? It seemed to him that the price was completely unrelated to the amount of work. For R192 million, the average person would expect a stack of documents and a thousand people working on it. Frankly, he thought that there was a major problem with the transaction. Secondly, Mr Maynier noted that Nano Sao, who according to the PIC was a South African and an expert in deal making in Nigeria, was paid R46 million. How was Nana Sao selected and how were the costs determined? Was the PIC worried about transparency costs? He was going to work on the transaction costs that had not yet been uncovered. The Chairperson asked the PIC to respond to the second part. Mr Maynier would work on the first part. Mr Muller had recalled the names of the other two men: Steyn Delport and Greg Rogers. He was not worried about the transaction in his personal capacity, or on behalf the PIC. The Acting CEO explained that the PIC was disclosing fees where the PIC had paid fees. The Chairperson stated that that was obvious to Members. Mr Maynier explained that his concern was the comparison between the fees earned by those three guys in Symphony Capital compared to the fees that an investment bank would earn. No bank earned anything close to those exorbitant fees. It was a huge discrepancy and that could be seen even in the PIC’s own documents. Mr Madavo asked if he could move on to Sao Capital. He said that Sao had come to the PIC with the transaction and his fee was a percentage of the transactions. He has been paid for all the work done. He could give the Committee the details. Nana Sao had a team of people working in Africa. And Nana Sao had been the only person with that kind of expertise. Value had been extracted from the deal. The PIC paid between 1% and 2% of the transaction. Ms Solomon had some information on the Ayo fees. She said that a submission had been given to the Investment Committee by management because the Investment Committee had asked the same questions as were being asked by the Portfolio Committee. The fee paid in the AYO transaction was R78 million and of that R57.7 million was paid to AEEI Corporate Finance. Placement fees of R14.5 million was paid to PSG Capital and sponsorship fees of R1.5 million was paid to PSG Capital. The balance of the fees went to legal costs. Mr Maynier asked how the three guys from Symphony got R167 million from the extraordinary process. That question had not been answered. Mr Muller stated that a normal process was a Request For Proposal (RFP) for three or four guys to do a specific job but in other cases there was a deviation from the RFP, when a party could be chosen on particular merit. Mr Maynier asked if there was an RFP in respect of the Vodacom transaction. Mr Muller could not recall if there had been an RFP, but he would check. Mr Madavo said that there was no RFP in respect of the MTN Nigeria transaction as Sao had brought the proposal to the PIC. Mr Maynier asked if the PIC was worried about the transactions. The Deputy Minister said that the issue of the transactions was one that the PIC was looking at. The board was looking at delegation systems, checking the level of risk readiness in the institution, and so on. A complete review would be happening. Ms Khunou asked about the whistle blowers. Did an independent person oversee that department and had it helped the organisation deal with corruption? Also how had the PIC helped the Western Cape with the drought? The Western Cape had asked the Minister of Water and Sanitation for R50 billion but she would not give it because it was not only the Western Cape that was suffering from drought. So, if an entity could not get money from a department, did they go to the PIC? The Acting CEO explained that the whistle blower system was run by an independent person. The head of the system sent reports to the CEO, the Risk Committee and Internal Audit. If the CEO was conflicted, it would be escalated. The Internal Audit would do an investigation and then feedback was given to the independent entity and the whistle blower. Regarding the Western Cape, a province or municipality could ask for assistance. The PIC was more than willing to assist as it was in the mandate. The Chairperson thanked the PIC. He knew there was talk about the chairmanship of the PIC. He thought that it would be a great mistake to remove government from the chairmanship because when the PIC messed up, it ran back to government. Secondly, the Chairperson believed that governance issues, in line with the issues raised by his colleagues, were important. He knew an important businessman who had nothing good to say about the PIC because there was no transparency and there were certain influential individuals in the PIC who turned things around to suit themselves. Lastly, the Chairperson spoke about governance. He had seen warlords and patronage dispensed. Whoever was a CEO was a powerful person, and how much more so in the PIC where there was so much money. The media had told of people in the PIC who had been fired for resisting something, of surveillance and of doctored minutes. The Committee had found the SABC and Transnet to be highly militarised institutions. The PIC was not immune to those things. The PIC should look at doing what was right and fair to those sitting outside and nursing a grievance because they had not been in the wrong. He wanted to see people safeguarding the institution from falling into the hands of powerful people. If an individual became more powerful than the system, there was a problem. The genesis of the desire of SCOPA to meet with the PIC was to ensure that it did not become lost. There had to be further interaction with the Committee, even if the same people were not there. Never again should there be a situation where things fell apart. The Deputy Minister noted that nobody had died. There had been robust interaction and the PIC had a lot to take home and chew over. He believed that an institution that depended on individuals had no future. The institution had to run on systems that stayed when individuals left. He affirmed that the PIC had to reassess the systems. He also said that, as far as possible, the PIC would pursue justice for everyone. The Chairperson thanked the Committee Members for the hard work that they had put in during the past week. They should sharpen their appetite for what still needed to be done in the few weeks left of the Fifth Parliament. He wished Members well over the recess.